Throughout history, ancient cultures have regarded grains as a sacred food, like medicine for the soul, it symbolized the essence of their spirituality that meant more than just sustenance, but also helped to shape and influence their daily culinary, ritual, and spiritual practice. Fresh in season from the farmers’ market are summer blueberries. These dark blue polka dots burst into a flavor explosion of blueberry heaven, when you bite into them. And they come with benefits too. Blueberries are a super food filled with nutrients that strengthen the immune system, improve memory, promote heart health, and offer a generous dose of antioxidants that help to slow down the aging process. Yes please! The possibilities for how to enjoy blueberries are limitless. 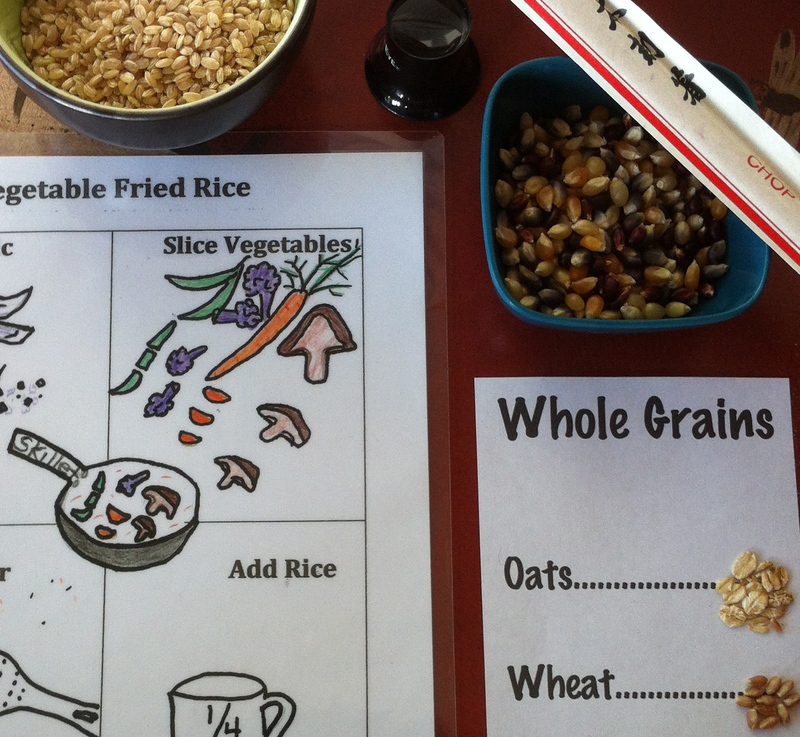 A kid-friendly treat, snacking fresh from the container makes them a healthy fast food. Sprinkle in cereal, salads, or smoothies, add blueberries to baked goods, or toss them into a sauce pan to make a topping. 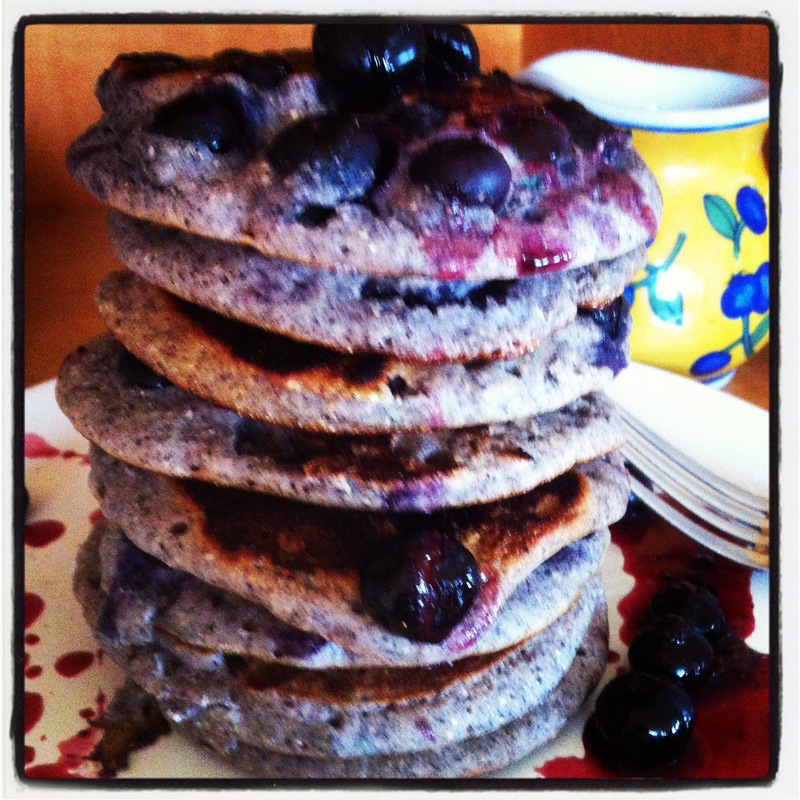 To celebrate the summer berry season, try this family-friendly recipe for Blue Corn Blueberry Pancakes. When Marcel Proust dipped his madeleine into his cup of tea, a powerful memory from his childhood emerged that led him to write the classic novel, “Remembrance of Things Past.” Imagine such a table from nostalgic past, set for afternoon tea, bursting with memories, sparked by the delicate flavor of this simple yet elegant, shell-shaped cake. A modern twist on a classic, here is my recipe for Lemon Olive Oil Madeleines.